Why Do Great Leaders Lie? You've dotted your "i"s and crossed your "t"s. You have a crystal clear brand, image, and message; you know exactly who your target audience is; and you're going after it, with a solid strategy in place. And yet... you find yourself banging your head against a wall. You're getting little or no traction from media, VIPs, or venues you're outreaching. How should you interpret the (non) response? With two minutes to go in the game, the quarterback narrows his focus and executes a perfect pass to his receiver cutting across the middle. Touchdown! I have a good friend and client who runs a small business, and he frequently tells me that, even though his business is profitable, he's up many nights worrying about it. Now he's got something else to worry about: All this stress may cause him to get cancer. Luckily, you have a few other sources of capital to tap into: online small business loans, equity financing, crowdfunding, or family and friends--to name a few. But what about the government? 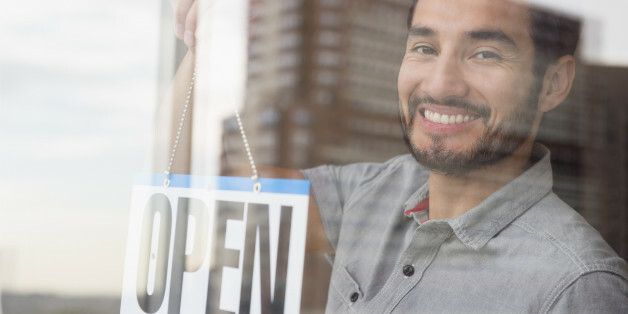 Are there government small business loans? Just Because You Build It, Doesn't Mean They Will Come. Picture this: you own a successful local retail business in, say, beautiful Washington, DC. All of your hard work and sacrifice is paying off. You aren't banging it out of the park, but you are doing nicely. Your customer base is growing, your inventory is under control, and you are starting to turn a steady profit. Anxiety is a totally normal and even expected part of running your own business. Here's how to keep from being crippled by it. Do You Want to Succeed as an Artist? Start Acting Like a Creative Entrepreneur. Along the way, I've discovered seven critical factors that are keys to entrepreneurial success. They are predictors of future achievement and accomplishment. In fact, these seven factors are so critical, they are equivalent to the DNA of success for your lifestyle business. As a freelancer turned business owner, it seems like I'm always invoicing someone or paying an invoice. At first, when my business wasn't much more than an idea, I used Square to accept online payments. It worked perfectly for the first 6 months or so. Yes, that's right, you read it correctly. I stopped caring how arrogant or controversial I sound. This is what I want, or rather what I don't want. I'm a woman entrepreneur and since the start of my jewelry brand Lucid New York in 2004, I've been constantly offered unasked for advice on how I can grow my business. As entrepreneurs, we face many challenges as we start and grow our businesses. Funding uncertainties, competitive pressures, economic downturns, and more put a multitude of obstacles in our paths. But sometimes, the most difficult roadblock hindering our success is ourselves. Could you be standing in the way of your business achieving its full potential? If you exhibit any of the below characteristics, you are likely thwarting your ability to improve and grow your business. This week we recognize August 4th as Startup Day Across America, a time to celebrate entrepreneurs and the jobs they create. It's also an opportunity to reflect on the challenges that our entrepreneurs face and explore solutions to allow the best and brightest minds to succeed. I've run my business for fifteen years and take great joy in sharing advice and war stories with aspiring entrepreneurs. The question that consistently comes up in these conversations is: What's the hardest part of running a business? When you start your own business, there is an aim to grow. Perhaps you want to have outlets or offices all over the nation, or become a global corporation? Maybe it's about increasing the size of the premises you're in, or employing a team of workers? A negative mind set won't see your business moving in the right direction. Depressing yourself with potential ifs and buts will make your business suffer. No-one knows the long-term, or even mid-term, impact of Brexit. If you're a business owner and leader, you should focus on what matters and what is within your control - your actual business.